First-Born Enters Teenhood with a BANG! Seems like only yesterday, but it was 13 years ago today that my first daughter, Kristen, was born. And what better way to usher in the “teen years” than a trip to Bob Irwin’s The Gun Store in Las Vegas to fire off some lead for the first time in her life! Yes, I know some misguided people think it’s downright criminal to put a gun in the hands of a 13-year-old. 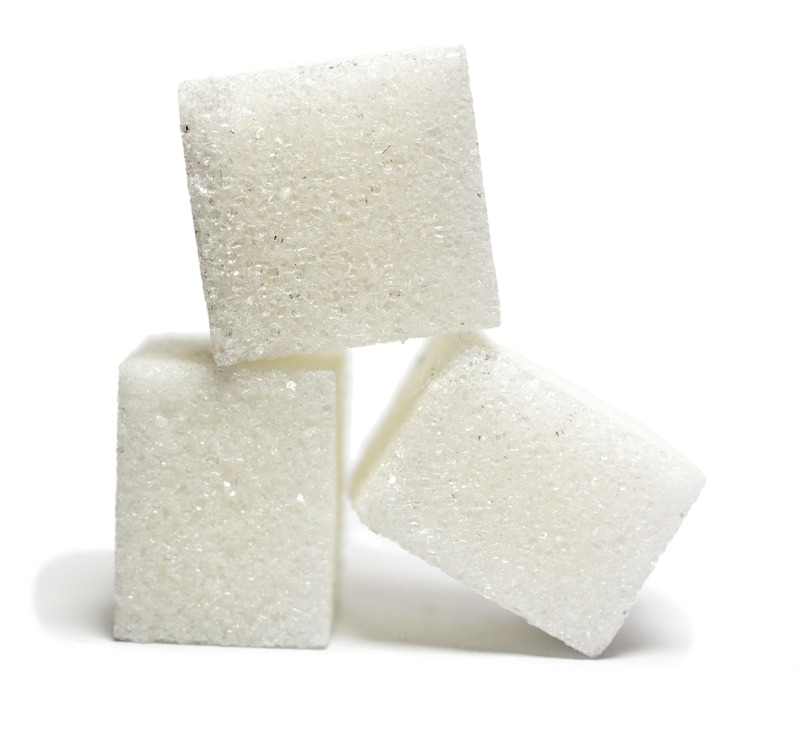 To them I say:Bite me! 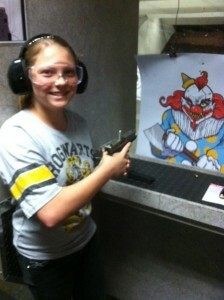 My baby shot a bit high at the demonic clown target on the first two shots with the Glock 19. But after that it was one head shot after another – including one right between the eyes. 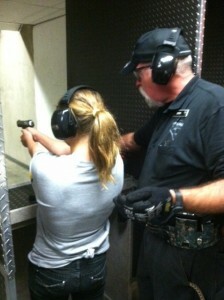 She then switched to a Ruger for the Zombie Woman. Boom, boom, boom! Almost every shot a dead-on head shot. I don’t know why people are so scared of this gun. 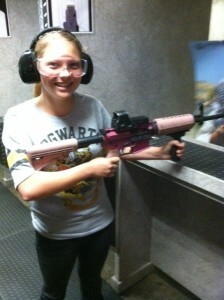 The one Kristen shouldered had a cute little pink stock and grip. Very lady-like. But BLAM-O!! Did my baby do a number of that scarved terrorist hiding behind the sand dune! Every shot to the head; not one miss. Like a Navy SEAL. Now THAT’S gun control! What a rush. After that we went to Texas Station for an old-fashioned, all-American breakfast of bacon and eggs. Helluva a way to celebrate the arrival of teen-hood, I tell ya. Sure hope this doesn’t upset Nevada gun-grabber Assemblyman William Horne (D-Brady Bunch).